Tile is a gorgeous floor covering. As durable as it is, sometimes damages can occur from normal wear factors or high impacts. To fix your broken tile, call the experts at Flooring N Beyond. Homeowners in Miamisburg can request service through our easy appointment making system online or by phone. Speak with experts around the clock to get advice on how to best care for your tile flooring. We provide excellent customer service to make your experience more pleasant. Our work is top-rated by local homeowners. Every technician that steps into your home is licensed, insured and experienced. Now you can avoid the hassle of long waiting times and substandard work by choosing the best! 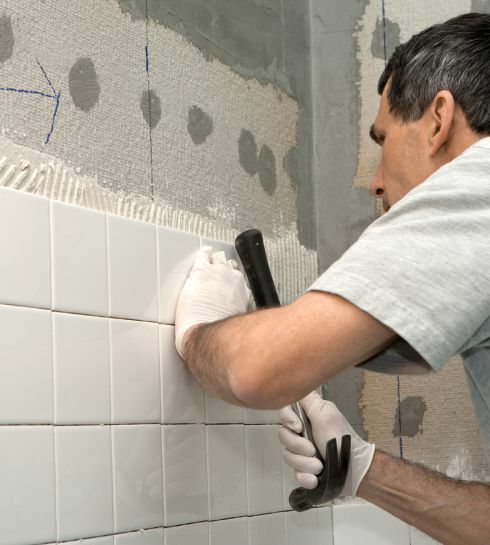 When do you need tile repairs? Tile damages can occur in all sorts of areas of the home, and in more ways than one. You may have noticed a crack near a door frame. Maybe you felt a tile come loose when you stepped over it. Or maybe you dropped a heavy cooking pot and left a nasty chip in the kitchen flooring. Loose or broken tile can be dangerous, as the edges can be sharp enough to cut bare feet. This can be a huge worry, especially in a house with children and pets. Whatever the damage may be, if your tile is not level and secure, it will need repairing. Not all of the tile needs to be repaired. One of the greatest benefits of choosing tile flooring in the first place is that it is easy to replace and repair tiles when needed. As long as the damage is limited to a small area, our experts can easily fix it. More advanced tile work, like mosaics, may take longer to repair due to their delicate nature. The process may take less time than you think. Simple problems will have simple solutions. Larger portions of broken or damaged tile will take longer to repair. Repairs can take anywhere from a few hours to a few days depending on the extent of the damage to your floors. Make arrangements to allow for repairs. Move furniture if necessary. Clean floors prior to the repair crew arriving. Have any questions that you have fresh on your mind. Take time off work to be there when your flooring experts arrive. These are just a few things you should remember when you require tile repair work.